I have a ‘thing’ of scarves. I’ve made a lot of them, in both knit and crochet (and possibly even one fleece one somewhere). I own quite a large amount of scarves (and cowls!) – including the ones that I’ve made, some silk scarves, some scarves that had been gifted to me. That thing of scarves somehow always ends up with me not wearing them though. When it’s cold, I never seem to have one on, despite the large collection that I have. My first ‘real’ project in crochet was a variegated blue messenger bag that I somehow manged to design myself. I still use it from time to time. It was done completely in single crochet and used nearly a pound of worsted weight yarn (I may as well had done a scarf, it probably would have taken the same amount of time). I never understood why projects geared towards beginners just showcase one single stitch (generally garter or single crochet, depending on your craft of choice) and it’s always a freaking scarf. But this is one beginner-friendly project that is all about the different stitches. Not only do you get some practice with chains and single crochet, but the scarf also features half-double crochet, double crochet and triple crochet stitches. Which makes for a not-so-boring project and a great new scarf addition to your wardrobe. The scarf in the pictures is about 7.5′ long with 32 repeats of the pattern. It has a fringe (which is entirely optional, as is the length that you want to make it). 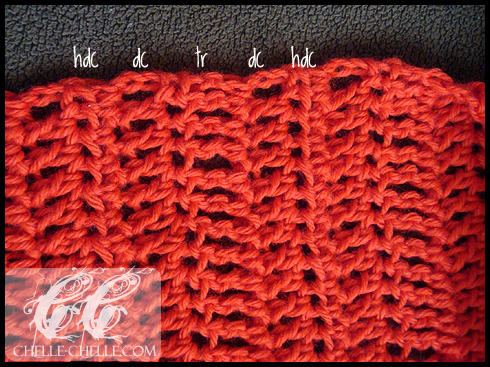 This scarf was designed for practicing the different stitch types in crochet beyond single crochet (hdc, dc, tr – US crochet terminology). 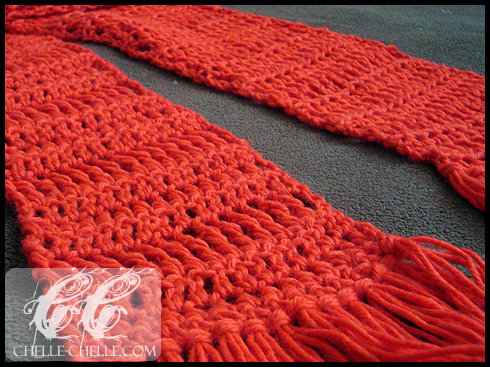 Want to make your own Crochet Sampler Stitch Scarf? The pattern is free! 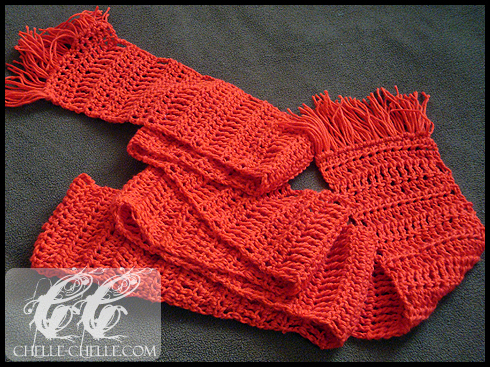 Click to download a PDF copy of the Sampler Stitch Scarf pattern. I think this will be Crochet Project #2. Crochet Project #1 was a really, really simple scarf using just dc (see http://jane.dallaway.com/my-first-crocheted-item-the-simplest-scarf) but I really like this as a way to try different stitches. I’m probably going to use some more Sirdar Snuggly Baby Bamboo DK (as I love the slightly shinyness of it). Hi thanks for this awesome free download. I am newbie in crochet and want to practice some favorite stitches. But can’t spare time and money to practice and produce scraps. So i want to combine my favorite stitches in rows and make a sampler like this. Can you guide me can any stich be connected to another stich row by row? Or only few stitches are compatible being neighbors in rows. Where can i find this info ?